Nearly 221 million Americans are expected to take part in Halloween related activities this year – more than ever before. We hope you’ve got your costumes ready and your pumpkins carved. Data lovers that we are, we’ve collected some fun Halloween stats to get you in the holiday spirit. You can view them in this snazzy interactive dashboard which we built using our very own reporting software. 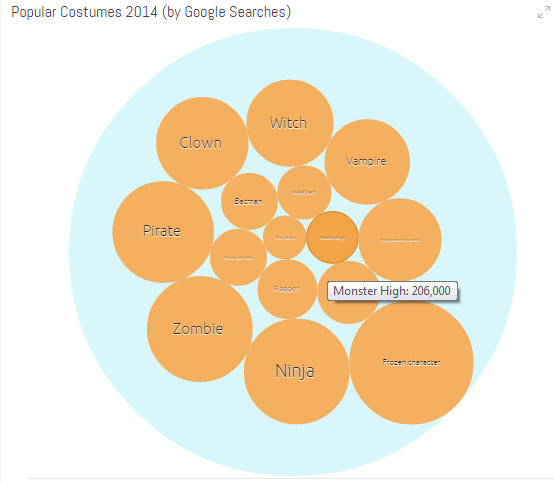 According to Google search volumes, the most popular costume this year will be characters from the 2013 hit movie Frozen. Other popular costumes include such time honored classics as Zombie, Ninja and Pirate. Did you know that in the United States. 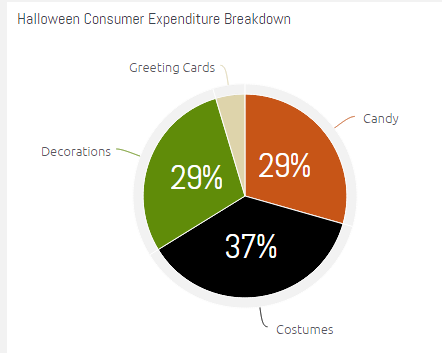 consumer expenditure in Halloween 2014 is more than double compared to a mere 9 years ago? In fact, except for a brief interval at the height of the recession in 2009, consumer spending on Halloween has been steadily increasing for the past decade. If you’re going trick or treating with your children, you might want to avoid dipping too deep into their trick or treat bags. 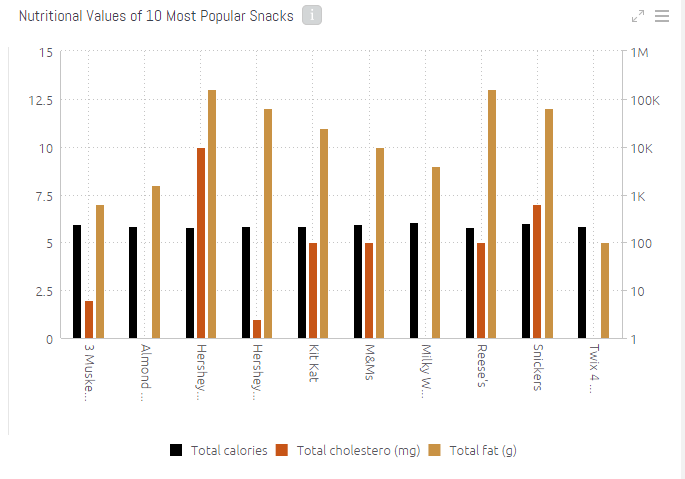 The 10 most popular Halloween snacks all contain between 210-260 calories and between 8-13 grams of fat. A few are cholesterol free, but none are particularly good for you. And finally, check out our workout-to-snack calculator to figure out how much you’ll need to bicycle, jog, swim, or golf to lose those excess calories.